In rehabilitation, back to health and in everyday life, it is important that we kept the faith, optimism and sense of humor. If the spirit is strong in us, the easier and faster we can win with health problems. Good humor has a unique power to lift our spirits and a positive effect on our physiology (traffic systems, respiratory system, cardiovascular system). Laughter causes our body is flooded with hormones of happiness (endorphins) that improve our mood and act as a painkiller. Laughter also stimulates immune cells called. “NK cells” (Natural Killer cells) and regular laughter increases the number of NK cells in our body. Moreover, the “one minute of laughter gives so much, every 45 minutes of relaxation and prolongs life of approximately 10 minutes and can burn off some calories” (Women’s health PL., No. 1, 2014, p. 30). Thus, the phrase “laughter is good for health” is the most real! 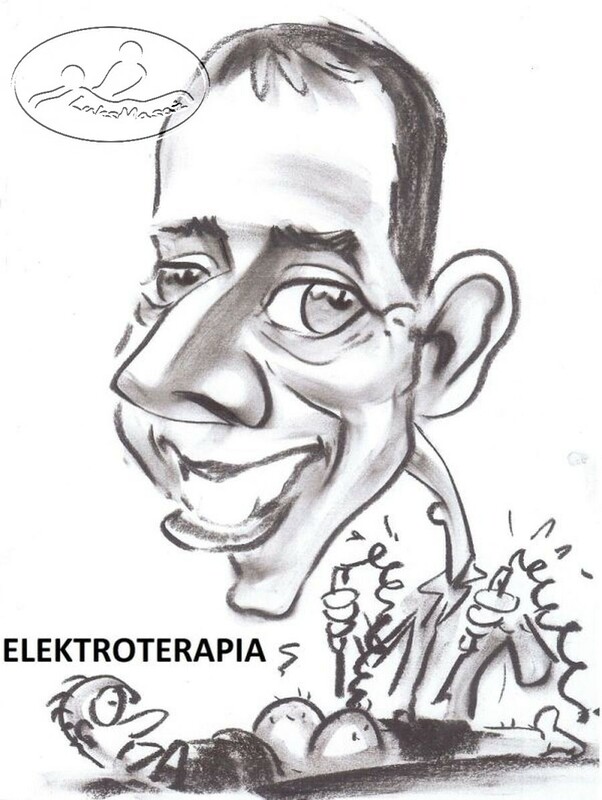 On this website I present the funny drawings, videos and jokes about the broader rehabilitation, massage and active-healthy lifestyle. I wish you a successful therapy of laughter and loud laughter during “treatment” !!! Łukasz Skrzypkowski – Physiotherapist, Manual Therapist, Massage Therapist. ps. I have a request. If You know or find funny stories, videos, presentations, jokes, graphics or photos about massage, rehabilitation, spa, sports, nutrition, healthy lifestyle, etc. – It please sent them to me via e-mail and indicate the source. Thanks to Your help, I will be able to increase the dosage “Laughter Therapy” presented here. Thank you in advance.